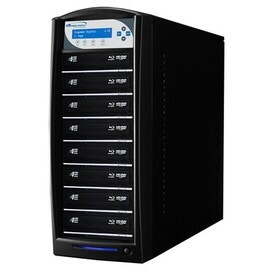 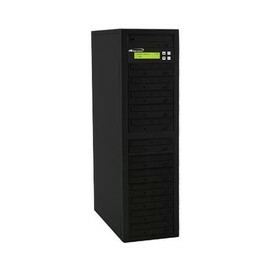 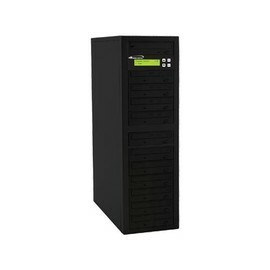 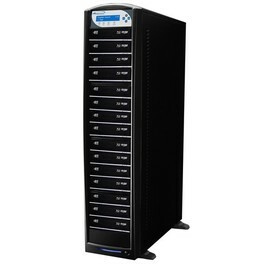 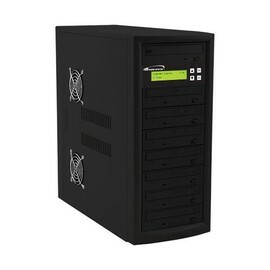 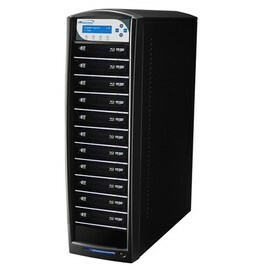 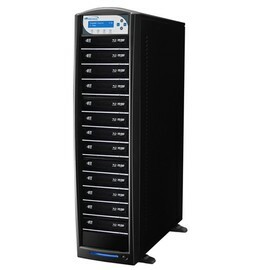 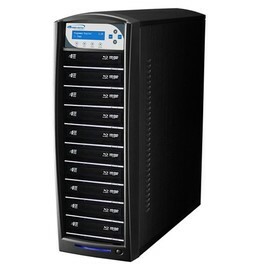 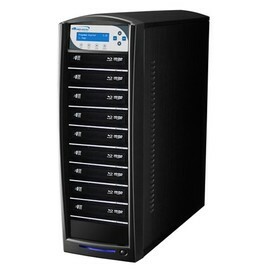 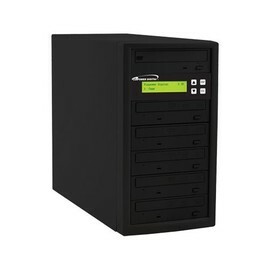 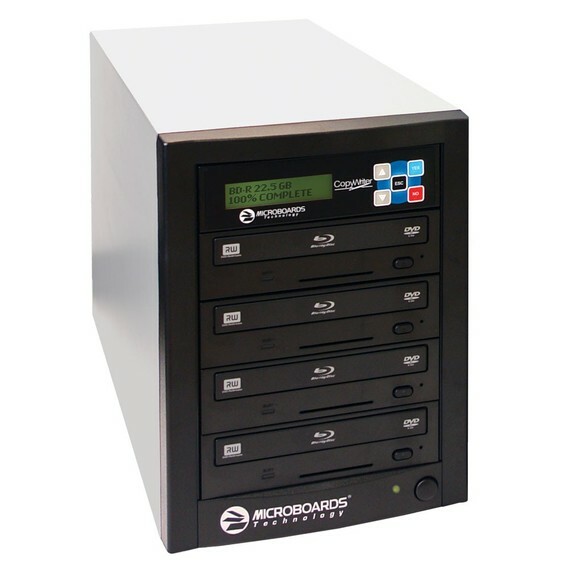 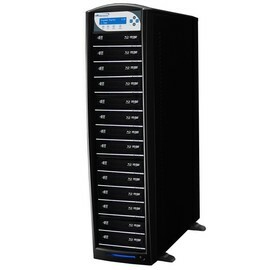 The CopyWriter Blu-Ray series of tower duplicators employs 4, 7, or 10, 12X Blu-ray Disc recorders and a built in 500GB hard disk drive to store master images. An intuitive, menu-driven display and a 5-button control interface provide one-touch operation for the novice user while providing advanced features for the professional. Burn discs, lots of discs, with the Microboards CopyWriter Pro Blu-ray Disc towers! 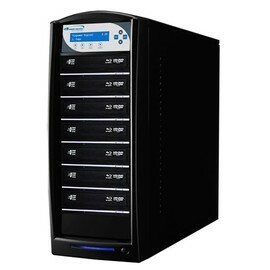 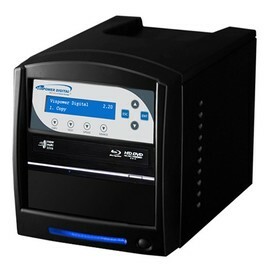 Burn Blu-ray Discs one at a time or by the thousands with the CopyWritter Pro Blu-ray duplicator towers. 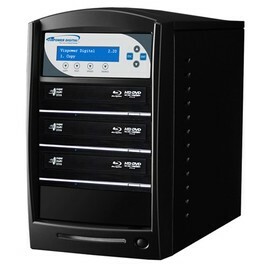 The 12X Blu-ray Disc duplicator towers have the ability to do more than just BD-R and BD-RW - burn to CD-R(W), DVD-R(W), DVD-R DL DVD+R(W) all on the same system. 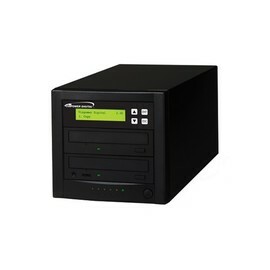 A built in 500 GB hard disk drive allows you to store multiple master disc images or extract audio tracks and mix your own discs. 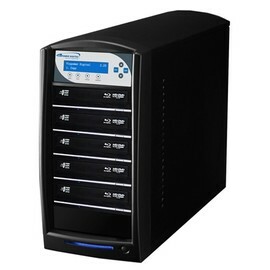 The intuitive 5 button panel makes copying discs easy for the novice user while keeping all the high end, power user features that the most demanding customers have come to expect from Microboards like disc verification mode. 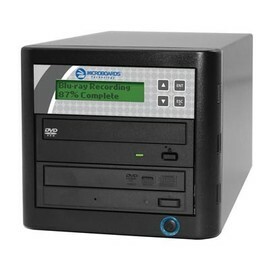 Features don't mean much without reliability. 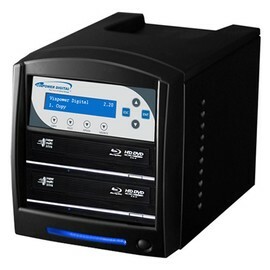 Quality components and careful assembly - backed by industry leading service - make sure that you'll be burning discs trouble free for years to come.